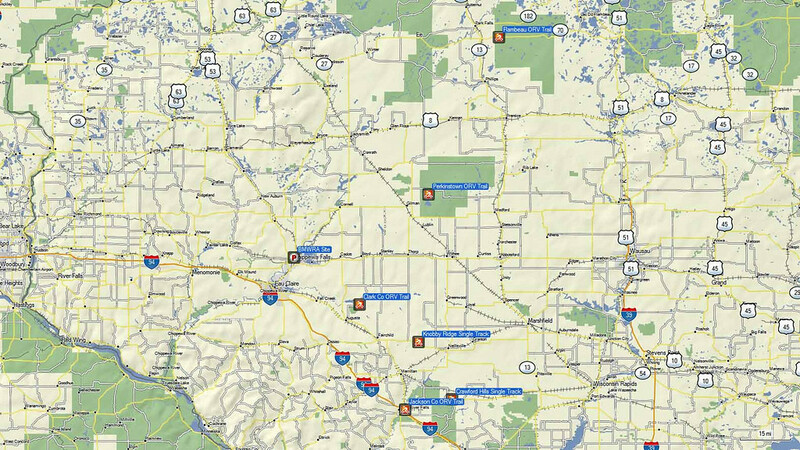 I prepared some routes that are based out of the 2011 BMWRA Rally Site at the fairgrounds in Chippewa Falls, WI. 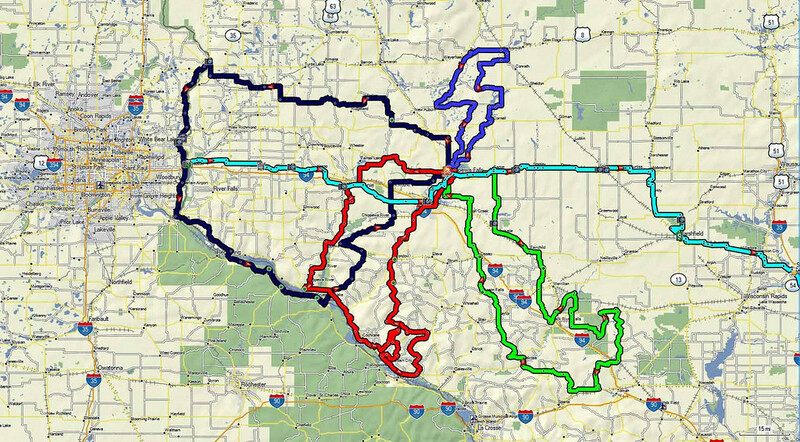 There are four loop routes that range in length from 129 to 280 miles. 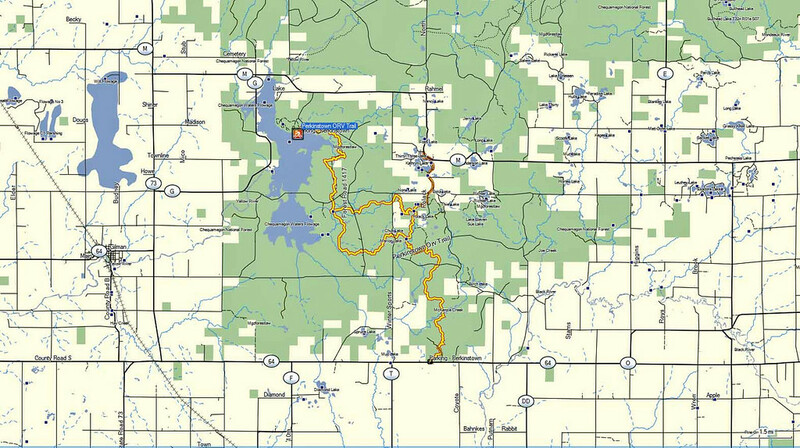 The Yellowstone Trail also passes near the rally site and makes for an interesting ride to or from the rally. 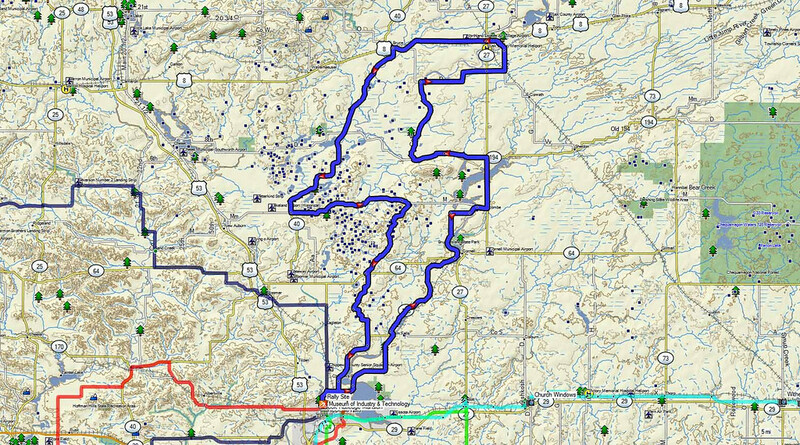 The portion in the vicinity of the rally site offers the potential for a nice day ride. Overview of the loop routes. 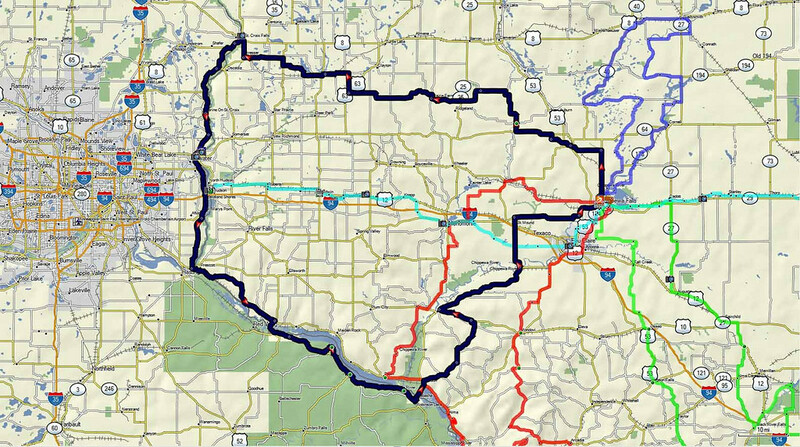 This 264 mile route takes in some scenic areas of the central forest and some of the unglaciated terrain of Wisconsin. 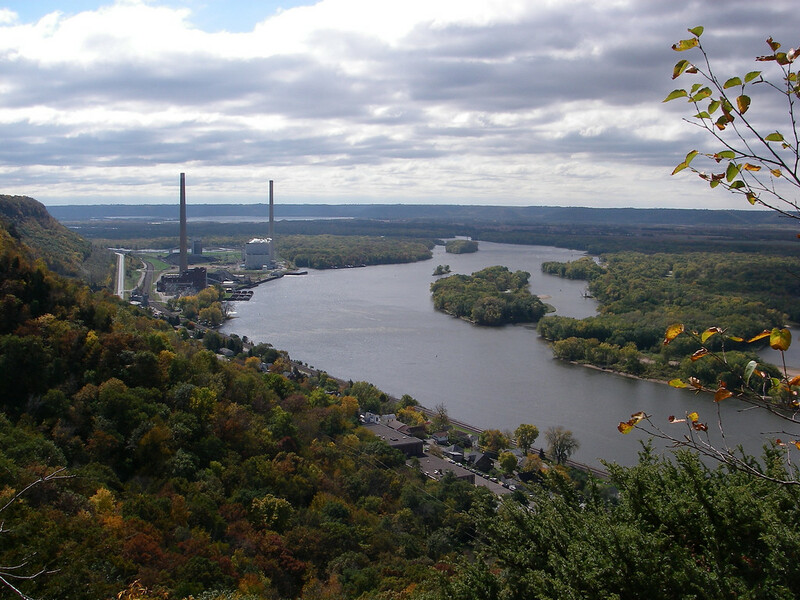 This 280 mile route takes in scenic St. Croix and Mississippi Riverways. It also tours some unglaciated areas. 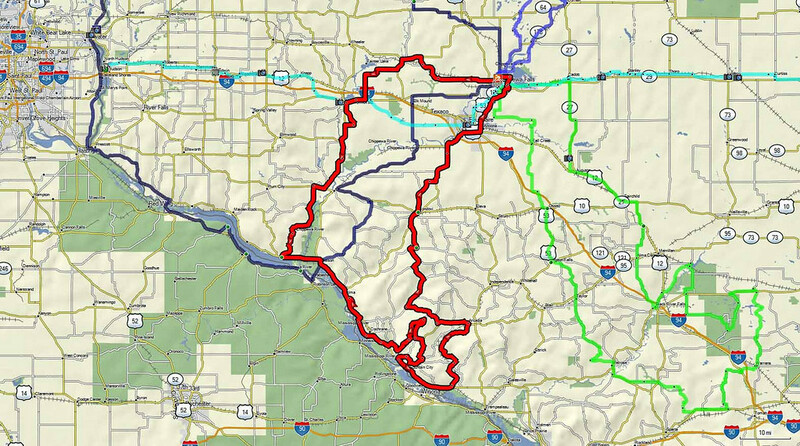 This 249 route takes in unglaciated areas and some of the scenic Mississippi River. Quaint river towns are featured on this route along with spectacular ridges and coulees. 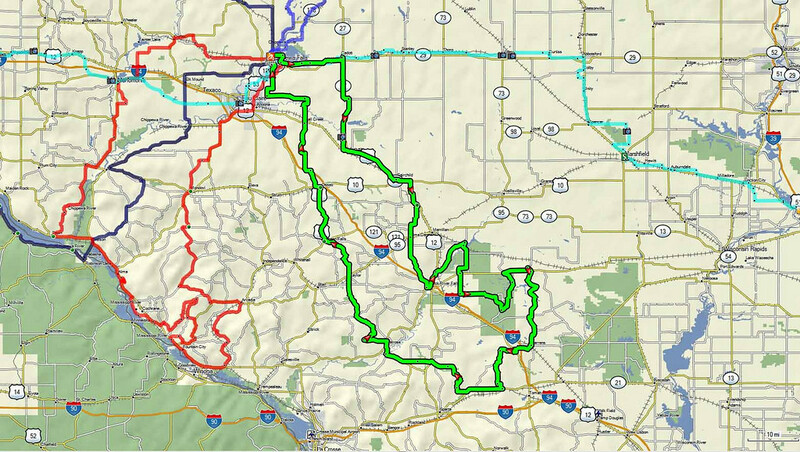 This 129 mile route tours along some scenic rivers. 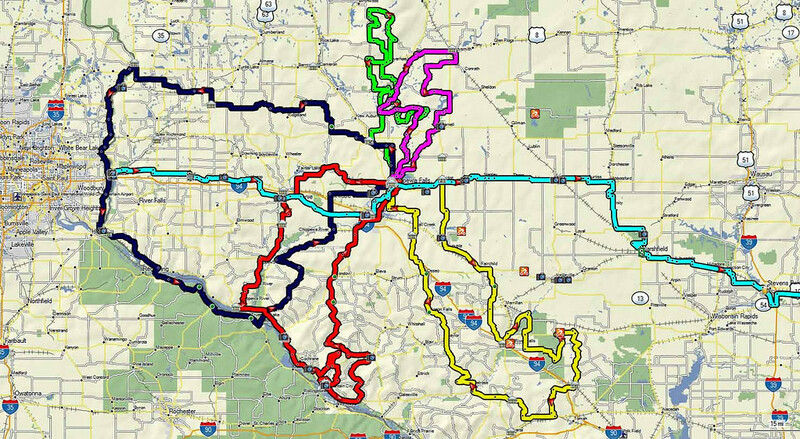 These routes were prepared with the 2010 version of City Navigator. Using other versions may cause small discrepancies in the routes. View from Alma on the Fountain City route. 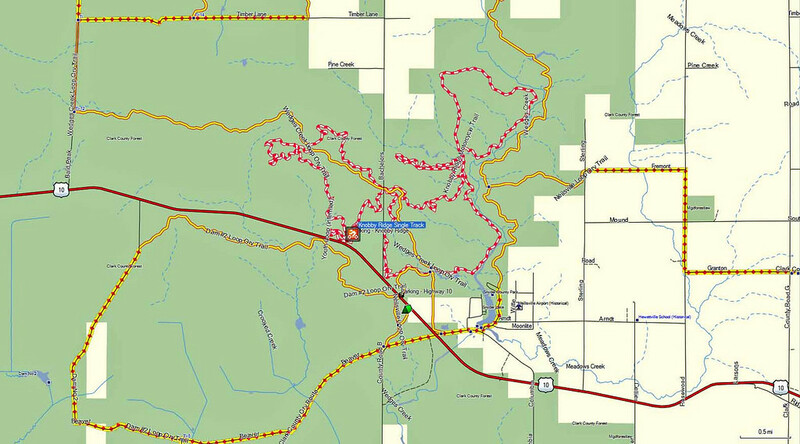 For those that might want to ride some trails, there are several opportunities proximate to the rally site. Most trails in the area ARE NOT open to motorcycles. 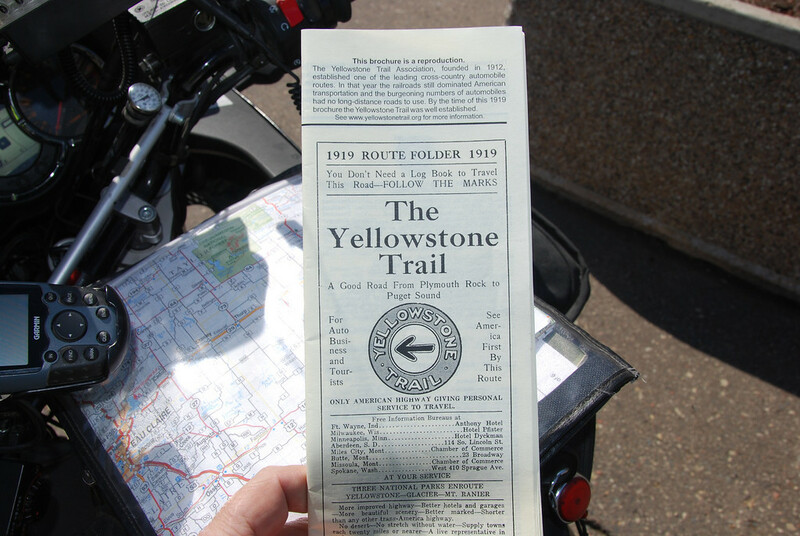 The GPX file gives waypoints of trailheads that are open to motorcycles. 113 miles away. 89 miles of trail. 53 miles away. 25 miles of trail. 35 miles away. 79 miles of trail. Knobby Ridge single track (17 miles). Buy permit on site. Part of Clark County. Requires permit sticker purchased locally. 63 miles away. 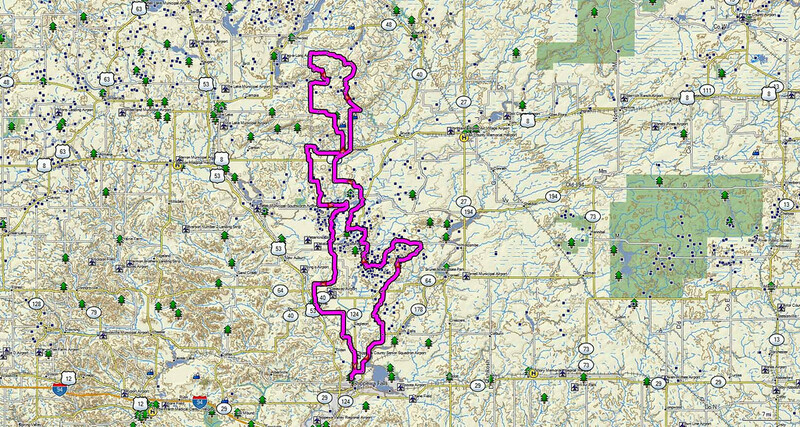 91 miles of trail. Knobby Ridge single track (19 miles). Park of Jackson County. 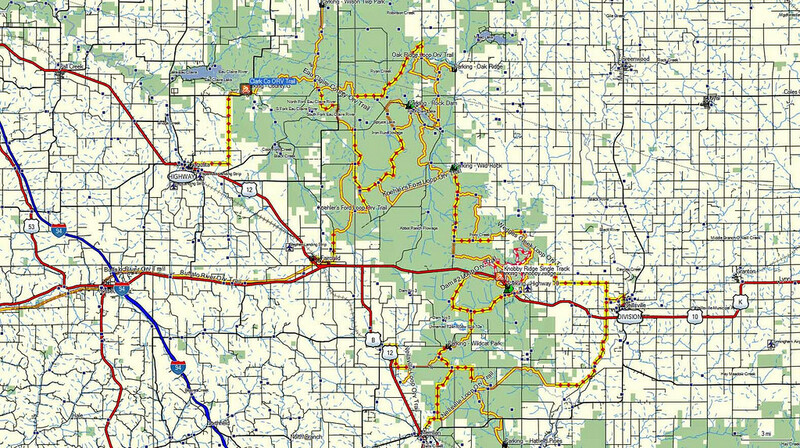 This is a 166 mile dual sport ride that tours some gravel roads in the Chippewa and Rusk County forests. The ATV trails are not open to motorcycles. 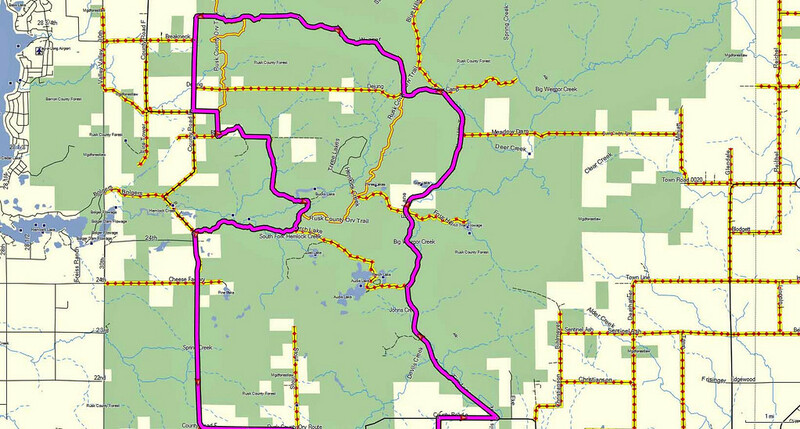 Some of the gravel roads are also ATV routes which are roads that allow ATV travel. 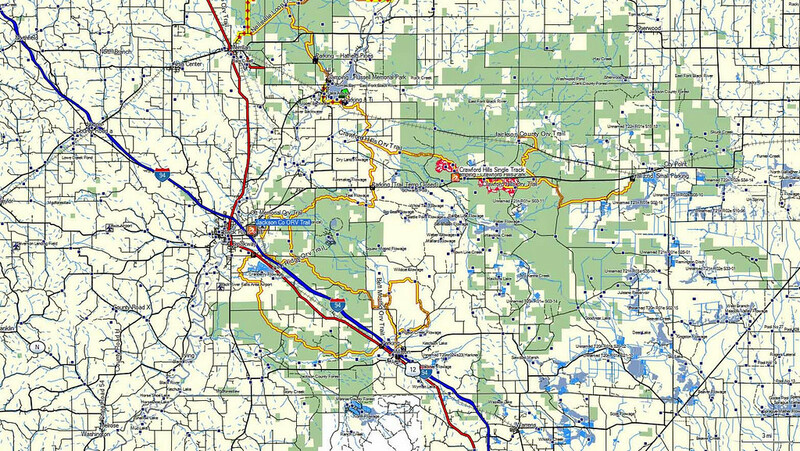 The attached GPX file contains waypoints for points of interest and attractions in the region and along the above routes. A traveler can load these waypoints into his or her GPS and they will be present no matter which route is loaded. For those that want to plan their own rides or visits to area attractions, you can load this file and delete the routes that are in it and produce your own. Detailed information for each POI/attraction is in the waypoint properties. 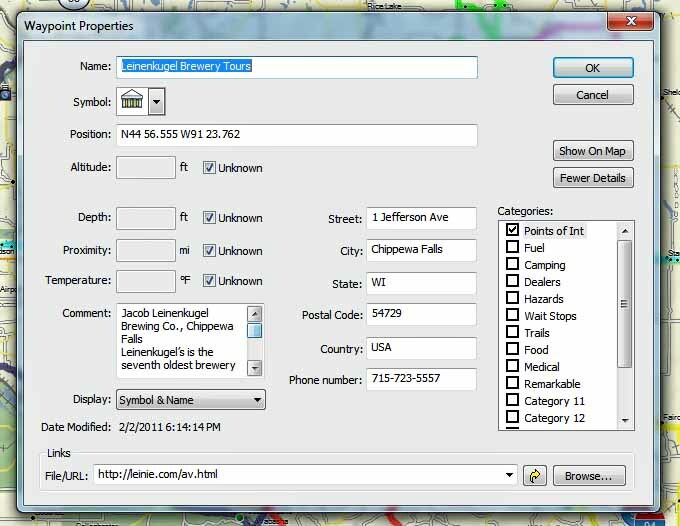 If you open the properties you will find a URL with more information. In the remarks block you can scroll through a paragraph of text information about the site. Hopefully this information will be of value for those that want to plan their rides before they get to the rally site. 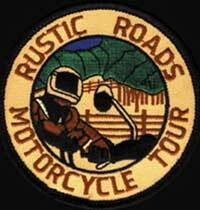 The State of Wisconsin offers motorcyclists a special patch for completing rides on 10 designated rustic roads. 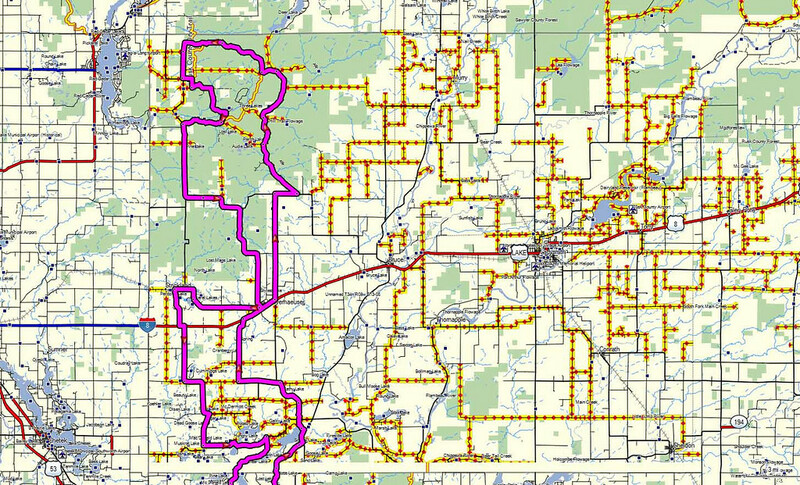 If a rider completes rides on 25 different designated rustic roads, he/she receives a special certificate from the state. Basically, what is required is that you take a picture of your bike in front of the Rustic Road sign that has the route designator (i.e. R 10) on it. When you get 10 roads documented, send in the proof and get the patch. 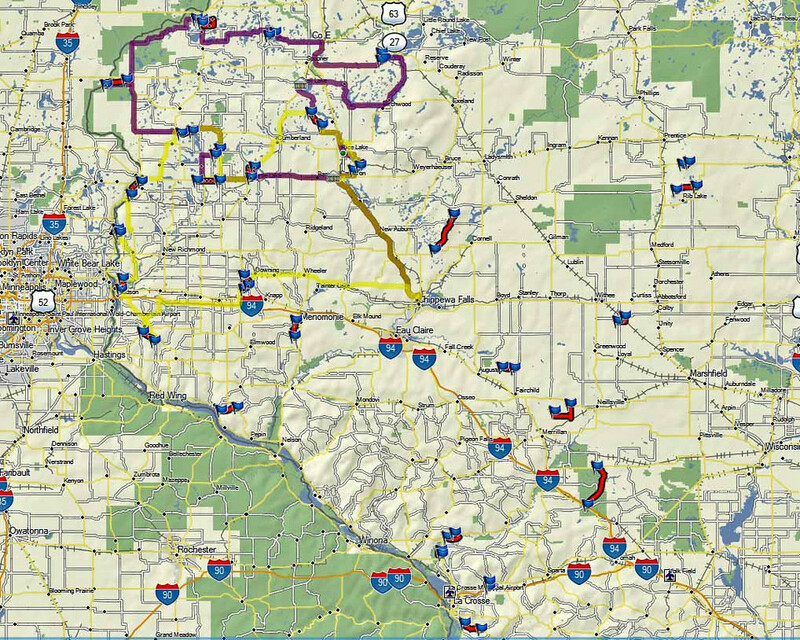 For those in the Chippewa Falls area, I prepared two routes that will allow you to complete the minimum of ten rustic roads needed to qualify for a patch. 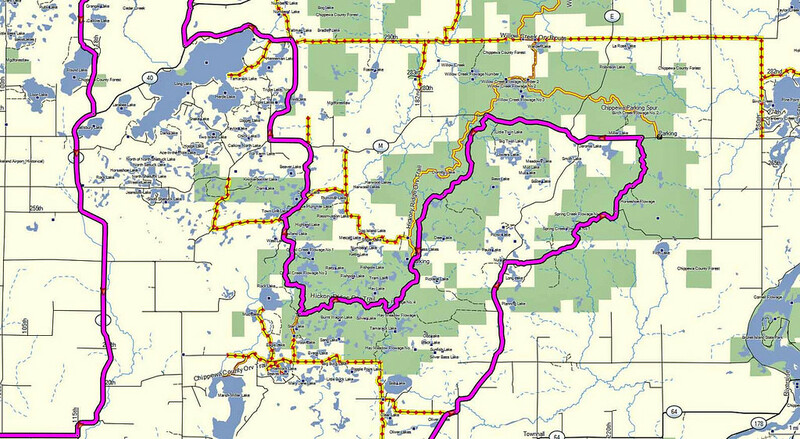 If someone is ambitious, the file also contains waypoints and track segments for about 30 rustic roads in the region. 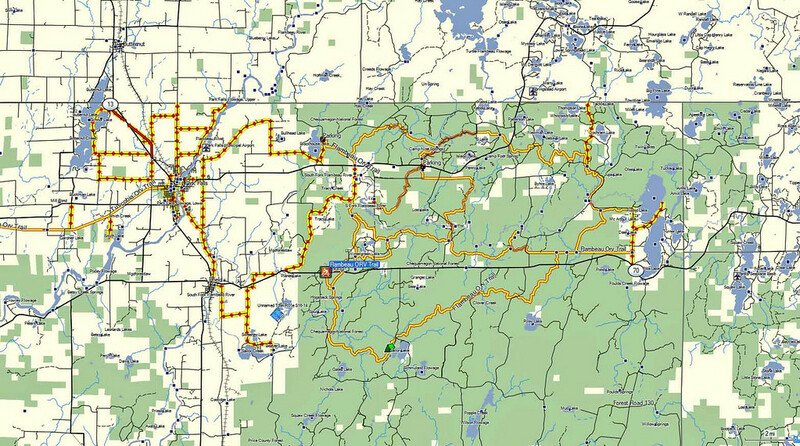 If you plan rides that allow you to complete 25 rustic roads, you will be awarded a certificate. Overview showing the two routes and the track segments. 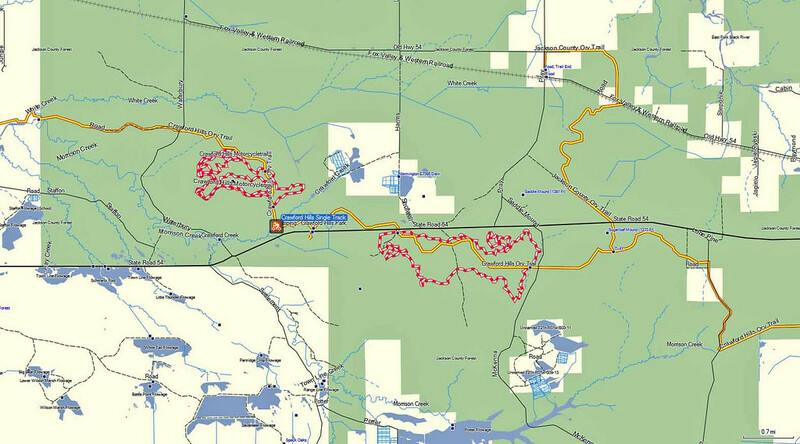 Here are the links for the Yellowstone in Wisconsin.